In the month of September, I read a book by one of my favourite authors, gave YA a go and read a book that's currently on an award shortlist. And, interestingly, I really enjoyed all three! Jaded by the numbing politeness of Restoration London, Lady Dona St. Columb revolts against high society. She rides into the countryside, guided only by her restlessness and her longing to escape. But when chance leads her to meet a French pirate, hidden within Cornwall's shadowy forests, Dona discovers that her passions and thirst for adventure have never been more aroused. Together, they embark upon a quest rife with danger and glory, one which bestows upon Dona the ultimate choice: sacrifice her lover to certain death or risk her own life to save him. I started reading this during my first Try A Chapter Tag post so, rather than put it back on my shelves with a bookmark stuck in it, I thought I'd see the last days of summer out with this tale of high society and pirates! If you've been around for the past year or two, you'll know that I have a soft spot for Du Maurier having absolutely loved Jamaica Inn and Rebecca. I'm happy to report that my love is still very much thriving and alive after reading this title #dumauribae! Frenchman's Creek tells the story of Lady Dona St. Columb, a woman who is entirely bored of domesticity and high society, who happens to fall in love with a pirate who moors up on the Cornish coastline. As you can imagine, antics ensue. I have told you guys a billion times over that I don't really do romance in books but this story utterly captivated me. Daphne's wonderful aptitude for character building and story telling was all here, combined with a sad/happy subtext that for me elevated the novel further. You see, Dona's restlessness with domesticity mirrors that of Du Maurier's at the time as she was a Mother at home whilst her husband was at war. The sad part, for me, was where the story then also comes to mirror how Du Maurier perhaps felt trapped where her sexuality was concerned. Daphne, according to research, was bisexual and had a few relationships with women but never felt as if she could be open about her sexuality whilst she was alive. The queer subtext makes the story, where Dona is torn between her family and husband on one side and this exciting forbidden relationship on the other, all the more poignant and I have to say I did have a bit of a cry because of it. Whilst I did have a cry, Dona was also really bloody funny and bolshy, and I loved the dynamic between her and the Frenchman. I'm struggling to be eloquent today, as you can probably tell, but basically I loved this. It wasn't my favourite of hers, that's probably Rebecca, but I thoroughly enjoyed it nonetheless. A perfect end of summer read. I've got another four or so Du Maurier books sat on my shelves so I'm sure you'll be seeing more of her on here soon! 'Everyone said the Graces were witches. They moved through the corridors like sleek fish, ripples in their wake. Stares followed their backs and their hair. They had friends, but they were just distractions. They were waiting for someone different. All I had to do was show them that person was me'. Like everyone else in her town, River is obsessed with the Graces, attracted by their glamour and apparent ability to weave magic. But are they really what they seem? And are they more dangerous than they let on? I don't tend to read YA - not because of snobbery but just because it's not usually my bag. I've always been a bit of an old fart, as it were. 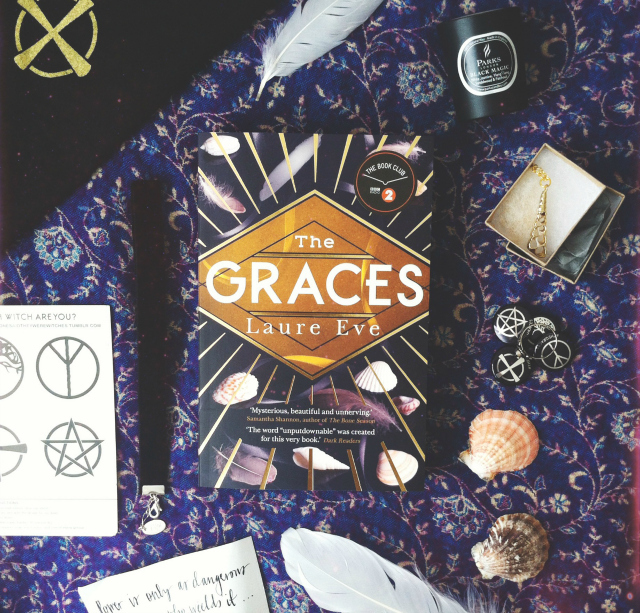 However, when Faber Children's emailed me about The Graces I decided to give it a go because I'd heard good things about it on Twitter and I happen to want to be a witch reeeeeallllllly badly. Wanting to dive headfirst into the experience, I decided to reawaken 14 year old Bee, intense low self-esteem and all, and just let loose with the story. Pals, it was wild! 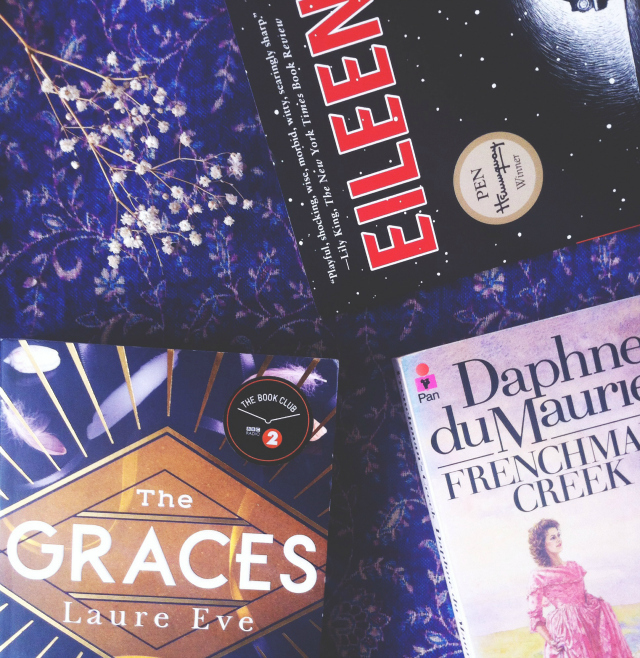 The Graces, whilst dealing with things like witchcraft, is more about relationships and coming of age and identity and all those other big things you start to tackle in your teens, so if you're looking for straight up high fantasy this ain't it! However, that suits me down to the ground because I'm not one for that. I'm not saying that I fell entirely for this book as there were parts that I cringed at, maybe because they reminded me of the way I would speak or think as a teen, and those moments did put me off a bit. However, I do have to say I got pretty wrapped up in the world of the Grace family and our protagonist River. I loved the aesthetic, enjoyed the reveals and, subsequently, I'm a little bit looking forward to the release of the follow up next year! I would've absolutely loved this book ten years ago and, if I'm honest, I really enjoyed it now. It wasn't perfect but it was fun, stirred my imagination and made me wear a dark lip for at least a week after reading. If you're looking for something bewitchingly nostalgic for the Autumn, this is your best bet. A lonely young woman working in a boys' prison outside Boston in the early 60s is pulled into something strange, in a mordant, harrowing story of obsession and suspense, by one of the brightest new voices in fiction. The talk of the Man Booker Prize shortlist! I had heard such mixed reviews about this book, with some people saying it was one of their favourite reads of the year and others saying that its billing on the prize shortlist was entirely undeserved, so I knew that I wanted to read it as soon as possible. In my opinion, this was a pretty refined study in self loathing. It is, for the most part, a character study before it takes a nosedive into 'wait what...what just happened?!' territory and, even though I did find at times that I felt a little lost along the way, that's something I applauded the book for once it had reached its climax. 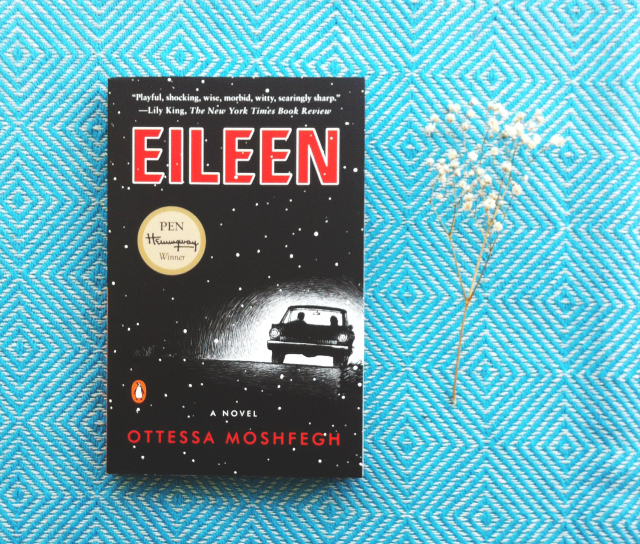 Eileen is intense, incredibly dark, visceral and, on many occasions, ugly. I loved it as a portrait of the messier side of womanhood and existence. Sometimes we aren't good people but that doesn't make us inherently bad. Even though it made me grimace and feel pretty sick in parts, there were moments where Eileen was also playfully morbid and grim and I enjoyed that balance a lot. Whilst I kinda wanted a better balance of character study and the more dramatic plot points at the time of reading, I am now weeks down the line from reading this and the character of Eileen still hasn't left my head. I find myself wondering what happened to her and I guess that's the sign of a good book and a good author. It'll be interesting to see what Moshfegh writes next. This won't be everyone's cuppa, as suggested in the mixed reviews, but I quite admired this effort so I'm gonna recommend it. I've seen The Graces around a lot but the summary never quite got my attention, think it's worth a second look though? 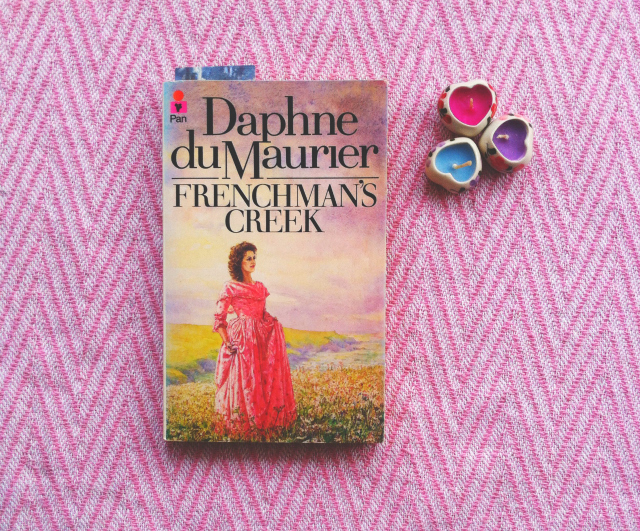 I love Du Mauriers, after Jamaica Inn Frenchmans Creek is my favourite. She builds characters so well and the plots always keep you on your toes! These sounds like some great picks! I've heard mixed reviews about THE GRACES, so I'm so glad you enjoyed it!<3 Great reviews and get well soon Bee!